When it comes to sports video games, I am a casual fan. I rarely buy the new versions, which are usually nothing more than slight gameplay tweaks with updated rosters. It is hard to justify spending $60 on a game that is marginally improved from its previous year’s edition. 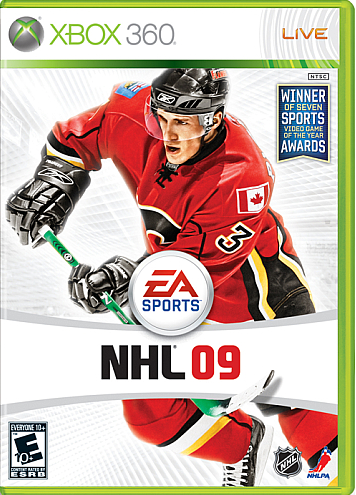 Although it is now two years old, NHL 09 is a game that marked a significant improvement in the popular EA Sports hockey series. For casual hockey fans looking to save some $$$, NHL 09 still delivers a lot of bang for its buck. NHL 09’s biggest addition is the “Be a Pro” mode where you get to create your own player and rise through the ranks of professional hockey, starting in the AHL. This mode is a blast to play since you are in total control of your character only. This gives the game an entirely new dynamic, and is certainly one of its most entertaining features. Online play is also largely improved, although it offers little value now unless you have a group of friends to play with. Several changes were made to the game’s controls to make the gameplay feel even more realistic. The analog-stick shooting will take some time to get acquainted with for the uninitiated, but after getting the hang of them it is hard to go back to the old “NHL 94” style controls. NHL 09 looks beautiful, the arenas have great atmospheres, and the commentary is never annoying. With such a strong presentation and a large number of game modes (including the ever-expansive dynasty mode), NHL 09 is a very strong offering from EA Sports. If you are a casual fan like me, do yourself a favor and pick this up. NHL 09 still holds up today, aside from the obvious outdated rosters.